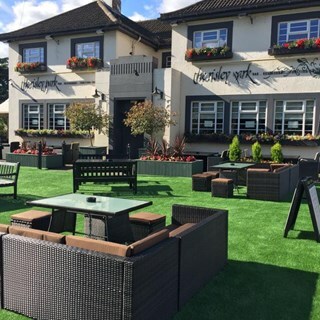 The Risley Park has been awarded several prestigious titles including national pub operation of the year for maintaining high standards. Our 80 cover restaurant delivers a menu suitable for all tastes. Our Parkrooms frunction suite is ideal to host a variety of events from birthday gatherings, christenings and conferences to all day weddings. 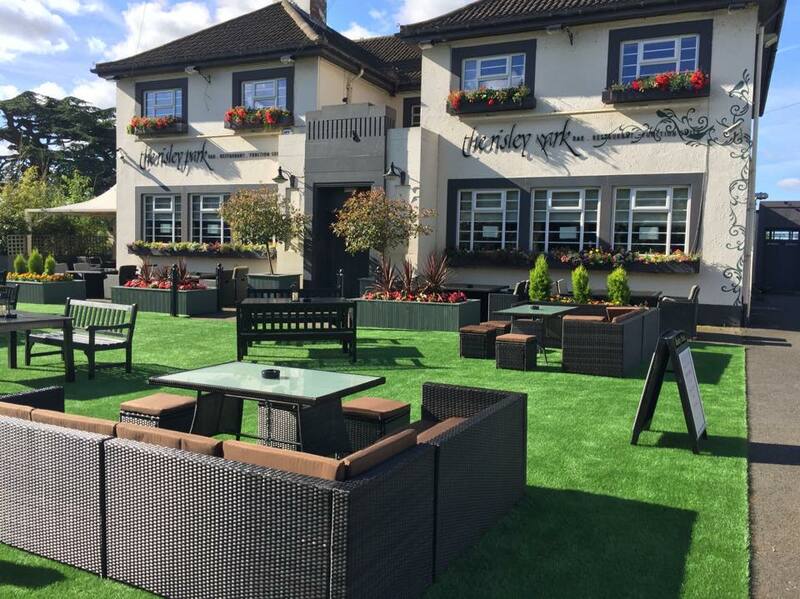 We also offer lunch menus at various times in our bar and garden areas on a walk in only basis. Really enjoyed our meal and very friendly prompt service. A lovely meal and great friendly service. Thank you. The guy on the bar was very busy. Clearing tables and serving. In my opinion there waa not enough staff for a Bank holiday Saturday when the weather was so good and had been forecast! The service left a lot to be desired and it was a shame because the food was lovely. Thank you for your review and for bringing this to our attention. We will be looking into the deposit email today and we will be investigating the salad preparation area to ensure this never happens. All comments are appreciated and taken very seriously by us with immediate action. Twelve of us had starters, mains and desserts and everything was top notch, very tasty. Thank you the Risley Park team for being efficient, polite and helpful. We were a large table of 18 people all with different orders that arrived hot and at the same time. We will definitely be eating here again. Over an hour wait for food and when it did arrive some bits were incorrect. What did come was very nice and the staff were very polite and professional. Lovely food. Very busy onnthe day so service was slow, but they reduced the bill because of this which was good as we did not complain. Lovely food and service as usual - only gripe is drinks tend to take a while when first ordering in the restaurant and would prefer to order at the bar when this happens. Visited on a few occasions  and always had a nice meal. Excellent friendly service and excellent food and food choices. A lovely dining experience. Food was plentiful and delicious. One of our party was a coeliac and a Vegan and she had a lovely meal. We have been to three of the five restaurants in the chain and loved them all. We will be back. We had fond memorys of risley park from 11years ago. As we were revisiting the area we looked forward to coming back. Unfortunately we were very disappointed. The food was not at the standard we remembered and expected. Straight from freezer to fryer. Shame we wasted an evening. Lovely atmosphere and the food and service was excellent. 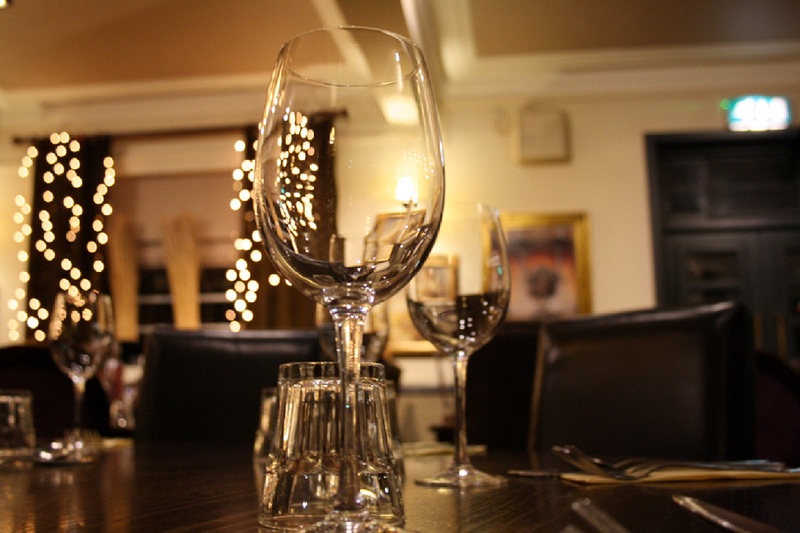 We're never disappointed when we eat in the restaurant (the pub meals are great as well). The reason for our latest visit was our Dad's 85th birthday, we all had a great night. Good food, nice wine and pleasant staff, perfect! Thank you.